Author Tom Morkes delivers. Some readers might think anyone advocating sharing and generosity advocate wearing “KICK ME” signs on our backs as people steal our creations. Not Tom. Instead of some BS-ing cheerleader long on promises and short on specifics, this guy creates a detailed game plan anyone could win with. If you’ve been following me for a while, you already know what this book is about.  This was a post I did for Medium.com. It’s kind of gone viral. People are tweeting Justin Bieber about it. I’m not sure if that’s a good thing or a bad thing. I sit down with marketing expert Ryan Hanley to discuss why Pay What You Want is one of the most powerful marketing techniques available. 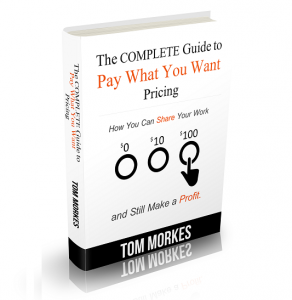 I show you 3 case studies of people crushing it using PWYW pricing. I sit down with marketer Tema Frank to discuss my origins in the online world and how I got started using Pay What You Want pricing. This is my reason WHY for what I do / create / write. A case study of my first Pay What You Want product: 2 Days With Seth Godin. The free resources above should get you started. If you’re at all interested in the subject and would prefer a more in-depth, yet practical look at the pricing technique (and how to apply it to your own business, writing or art), definitely check out the book. I put my blood, sweat and tears into this one – I promise you that. If this book isn’t your style, but you’d like to support my creative work, any and all contributions are welcome. Okay, that last one is a little self-aggrandizing…but if you do tweet it, you are awesome and will have a place in my heart forever. Thanks so much for reading, and thanks so much for your support – it really does mean the world to me. Started, finished and shipped on 25 November 2013 in Dunedin, New Zealand. I know yr still trying to figure it out but the inspirational and motivating thing is your doing it without waiting to figure it out(and other smart people are noticing) – you’ve just moved forward into ‘the mission’ knowing that you will figure it out. That said, honestly, I’ve not been sold on the ‘pay what you want’ concept in 2013 in terms of applying it to my business but have been trying to keep an open mind, been absorbing your interviews w/ others and your posts here w/ your experiences. I look forward to reading through everything in this product in the coming week or so(and I will consume it all, for the record…). The interesting thing: You’ve won me over in the process of all your work with this. The past week, I have resolved to experiment with an upcoming online course—-a product that my niche has never seen before so that, in and of itself, is an experiment…and I realized that, it’s a perfect merging of two experiments for my folks. I’ll keep you posted w/ the results in January, Tom and, of course, be in touch…..
BEST OF LUCK with this launch – and I expect to hear about your *next* formal project in December. Bruce – thanks so much for the vote of confidence and the awesome comment! Can’t wait to see what you do w/ PWYW (and I’ll be happy to help you create your pitch and offer – just keep me posted on development and we can talk strategy). Stay in touch my man! I am so so so excited that the world is getting to read your book- I bought it a few days ago and it is absolutely amazing- I’m thinking about restructuring my business to incorporate PWYW, and I really think this is an authentic way to provide great value AND reach a lot of people. Thank you Tom! Kate – thanks so much. Hi Tom. I’ve been somewhat skeptical about this approach to pricing so I’m looking forward to checking this out. Your resource is the first one to really grab my attention on this subject. I’m not sure if it’s just timing or if your words are the ones that resonated with me, but all of a sudden I’m feeling that there is something inherently powerful behind the PWYW strategy. I’m looking forward to diving into this work and seeing where it takes me. Thank you so much for putting so much energy and enthusiasm behind this project and providing such incredible value. Thanks a ton Michael – really appreciate it! Let me know if you have any questions putting it to work! Hi Tom, Hm what an interestin concept! I guess we encounter this in different forms across the world. For example, living in Asia has taught me that “price” is a loose term and frequently it sits across a very wide range. The salesperson will usually suss you out (aka, give you a once over and determine what social class you’re from and then test out a price, which is the starting point for negotiation). I’ve also noticed that this practice is starting to become more accepted across the globe. I even stopped by a very well-known outlet in NY and found that the store managers were quite flexible with the pricing/discounts they could offer you — you simply just have to ask! Anyway, you’re providing the perspective of the seller and it’s certainly an interesting one. I can’t wait to read more! Thanks for sharing your blood, sweat and tears and translating it into an actionable strategy for us. Thanks Elleyess. One thing that is different from your example: in the case of PWYW, there’s no ‘take-backs’…otherwise we’ve stumbled into bargaining territory, which completely defeats the purpose of PWYW. PWYW only (and best) works when the customer chooses – and is left with the repercussions of her choices. Hope you love the book! Congrats on your project completion! Very exciting, well done. I’m in the midst of building an online business and with this vision comes programs/ebooks. I’m still daunted by the thought of incorporating PWYW pricing, yet I completely love the concept! I think it’s fantastic you have dedicated so much time, energy, and passion into this area. Erica – definitely pick up the book. It will get you started the right way. And feel free to shoot me an email with any questions. Congratulations on the completion of your book! I loved this concept when I first heard Amanda Palmer’s TEDx Talk on how she applies this to her music/art. You’ve inspired me to consider ways I can apply this to some of my for-profit projects. I would be tempted to buy this for our library if you had a Paypal account option. I only go through Paypal for anyone but Amazon. I’d be happy to create a PayPal specific link for you. Just shoot me an email and I’ll set it up for you! P.S. Can’t see form correctly on IE; had to switch to Chrome to see what to put where.